State investigators are trying to determine the origin of the blaze and the cause of the victim's death; the local police chief said initial evidence suggests suicide. 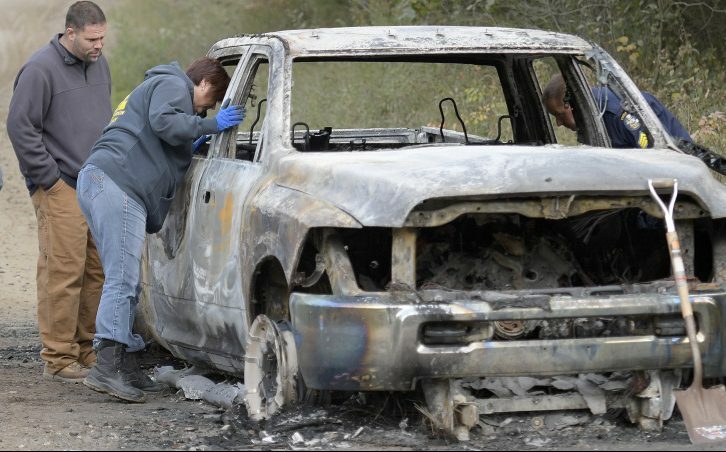 Authorities are investigating a truck fire that occurred Saturday in Richmond with a body in the car, but Scott MacMaster, chief of the town’s Police Department, said the fire might have been an act of suicide. Richmond firefighters and police responded at 3:30 a.m. to a report about the fire, which occurred on an unpaved section of Lincoln Street, and discovered the remains inside. The Office of State Fire Marshal and the Maine State Police Major Crimes Unit are investigating the origins of the blaze and the cause of the victim’s death, MacMaster said. “Police are attempting to establish the circumstances that led to the death,” MacMaster said, adding that the dead person’s identity is being withheld until an autopsy is performed today. A call to Sgt. Joel Davis of the fire marshal’s office was not returned Saturday afternoon.